Caregivers can work with seniors to help prevent depression. As people get older, the risk of depression can increase. Limited access with the outside world due to lack of mobility can make seniors feel lonely and isolated, which can lead to depressive symptoms that may also occur as a side effect of medication and other medical conditions. In a review published in the journal Maturitas, Professor Osvaldo Almeida from the West Australian Centre for Health and Ageing summarized previous research on depression in seniors, reviewed the risk factors of the mental illness and noted that it's important to take measure to prevent the development of this illness in this population. According to Medical Xpress, Almeida noted that risk factors of depression include, poor social support, lack of confidence, serious life events, limited education access, poor lifestyle choices and financial strain, among others. 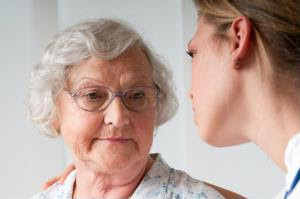 It's important for in-home senior care providers to become familiar with the signs of depression in older adults, so that they know if steps need to be taken for treatment of the illness.